Do you ever feel like you are barely keeping your head above water? You make it out the door each morning with no time to spare, and you have often forgotten something along the way. Is stress always chasing you, not giving you a moment to rest? 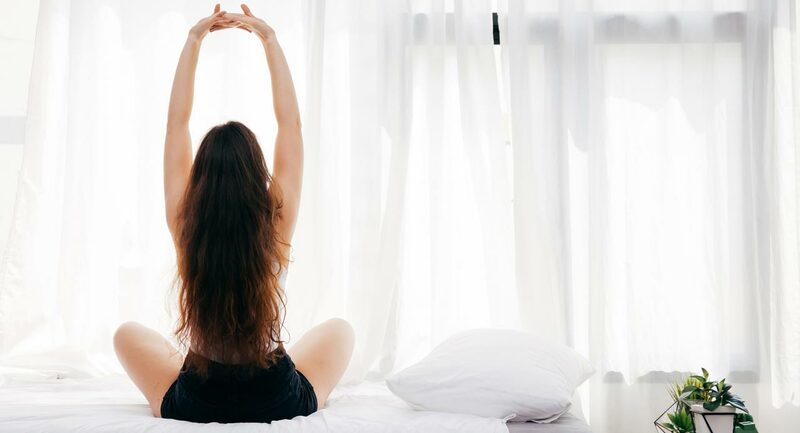 It may be hard to believe it, but a good morning routine can help you get far enough ahead that your mornings can slow down, your stress can back off, and your whole day can go more smoothly. There are lots of things that can be incorporated into a good stress-relieving morning routine. Here are the basic ones that we suggest. Nothing can derail your morning routine and the rest of your day like being tired. Prioritize getting a good night’s sleep, and your stress levels will automatically decrease. Make sure your bedroom is peaceful, calm, and cool, and don’t allow electronics or television into it. Stay away from caffeine and alcohol before bed, and incorporate some relaxation techniques like deep breathing or meditation into your bedtime routine. First thing in the morning, drink a glass of water. It helps your system get going and puts you on-track for staying hydrated all day long. Dehydration can make you sluggish and increase feelings of stress, so make getting enough water a habit. Take five or ten minutes in the morning to do some stretching. It will help your muscles warm up and release some feel-good chemicals into your body that will help you better deal with the rest of the morning. You can even do some simple yoga poses to clear your mind while stretching out your body. Sprouted grain bread toast with half an avocado on top is filling and healthy. Add salt, lime, and garlic to taste. Make hard-boiled eggs ahead of time and have one with sprouted grain toast and almond butter. Have a small salad with olive oil and nuts. Consider things that are easy to make in the morning or that can be prepared ahead of time, so you don’t get stressed trying to prepare breakfast. If possible, listen to relaxing music or a book on tape during your commute. This can help you continue to feel stress-free until you arrive at your destination. In contrast, using that time to think about everything you’ll need to do that day can ramp up your stress levels and have you upset by the time you arrive.